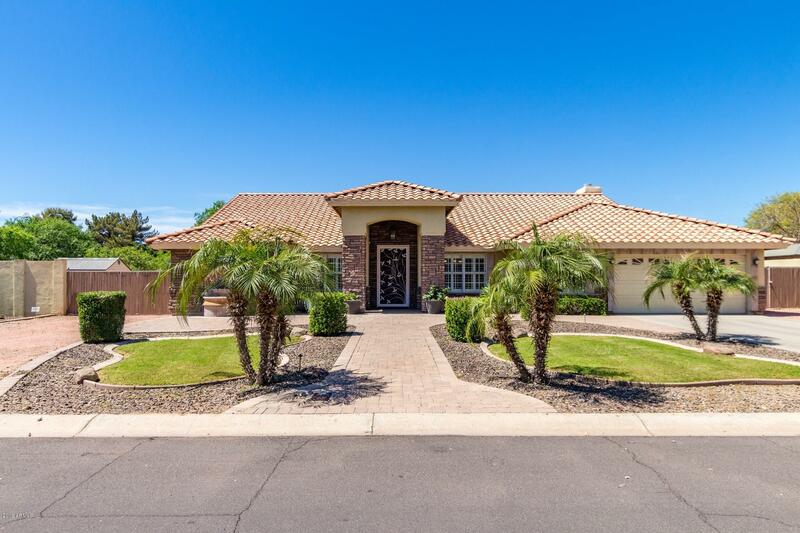 All PARADISE WEST ESTATES homes currently listed for sale in Peoria as of 04/23/2019 are shown below. You can change the search criteria at any time by pressing the 'Change Search' button below. 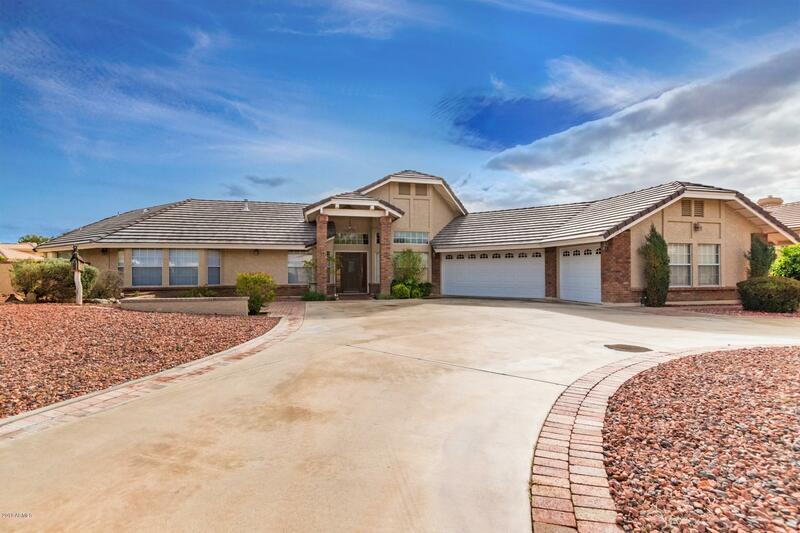 "Welcome to your well maintained, conveniently located 4 bedroom, 3 bath, Peoria dream home! Outside features include lovely brick trim, circular paved driveway leading up to ample parking and upscale desert landscape. The backyard boasts a sparkling beadcrete pool and a ramada. Step inside, and be swept away by vaulted ceilings, the cozy brick fireplace in the great room, and multiple built-in fans. The freshly painted gourmet kitchen is fully equipped with all black and stainless steel applian"
"GIANT LOT, DOUBLE RV/BOAT PARKING, Premium CORNER LOT, RV gates and 4 DRIVEWAYS. An expanse of travertine spans throughout house, w/ gorgeous wood floors in bedrooms, both pet & allergy friendly. Enter to LG Formal LR & Dining. MAGNIFICENT kitchen-granite counters, breakfast bar, wall mounted ovens, newer SS appl, pantry, wine rack, electric cook top & beautiful dark stained cabinets. EXPANSIVE master retreat has sitting area, private entrance, ensuite w/ double vanity, beautiful step up soakin"